Going to be in Matera, Italy on July 12 perchance? If so, swing on by for my talk. From the poster it looks like I will be lecturing inside of Yoda’s hut on Dagobah. 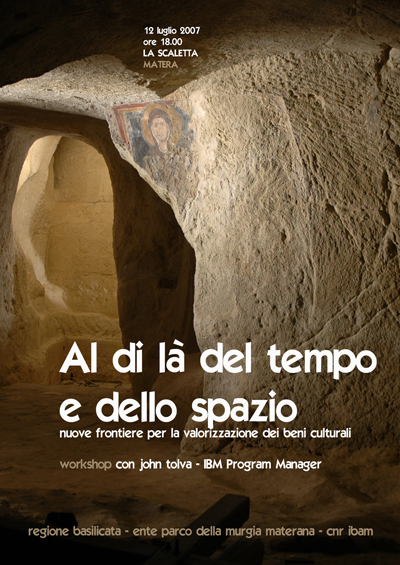 In fact I’ll be speaking to university students and cultural heritage professionals on the topic of … um, “nuove frontiere per la valorizzazione dei beni culturali”. Duh. Have some work to do before Friday.